2. 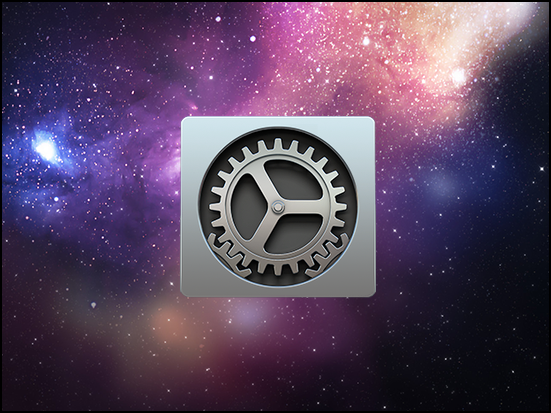 In the System Preferences window, click Security & Privacy. 3. 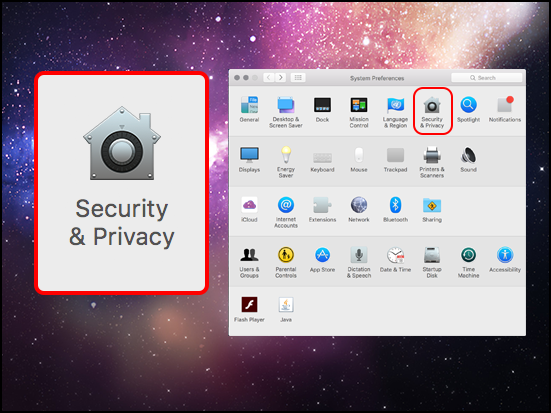 In the Security & Privacy window, you will first have to unlock your settings by clicking the padlock in the lower left hand corner and entering your password. 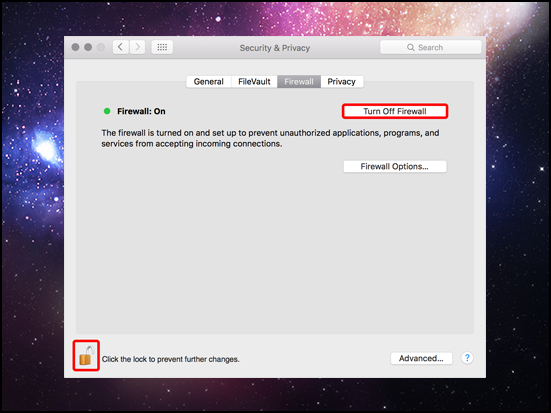 Simply click Turn Off Firewall then re-lock your settings by clicking on the padlock again.